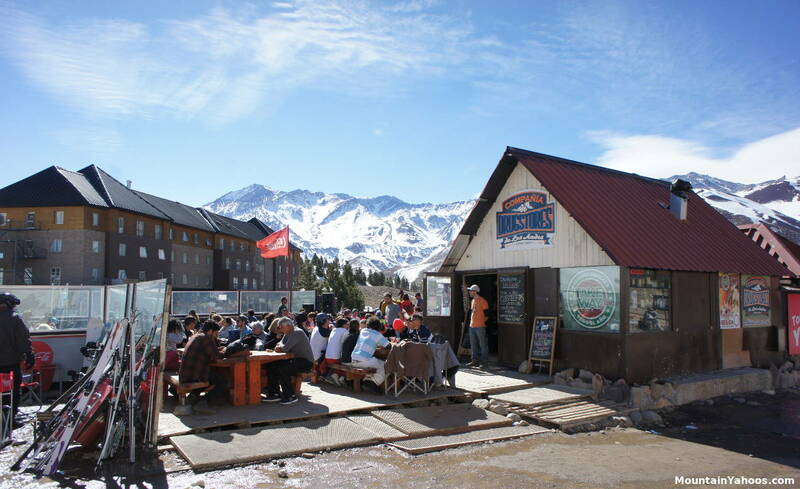 Apres ski is embedded in the culture at Las Lenas where there is a high percentage of skiers in attendance at the bars and patios at the base of the mountain after a day on the slopes. Participation on sunny days is to the capacity of the patios with DJs, bands and alcohol promotions all in full rage mode. It gets cooler when the sun sets behind the mountains and the crowd will dissipate, so enjoy it while you can. 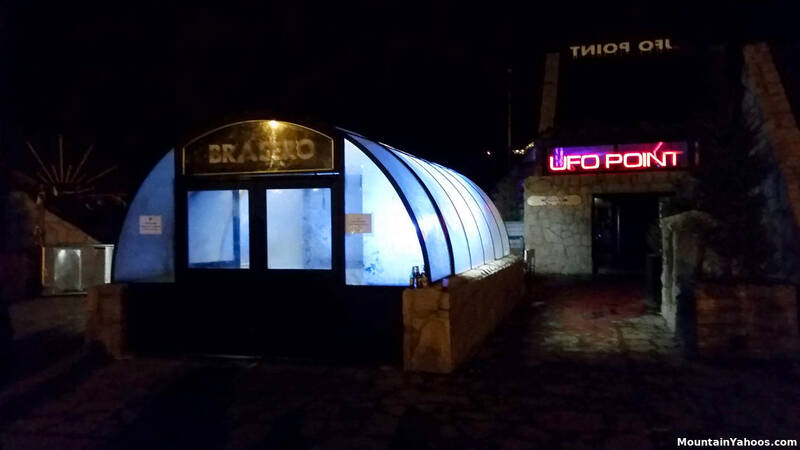 UFO Point bar patio. 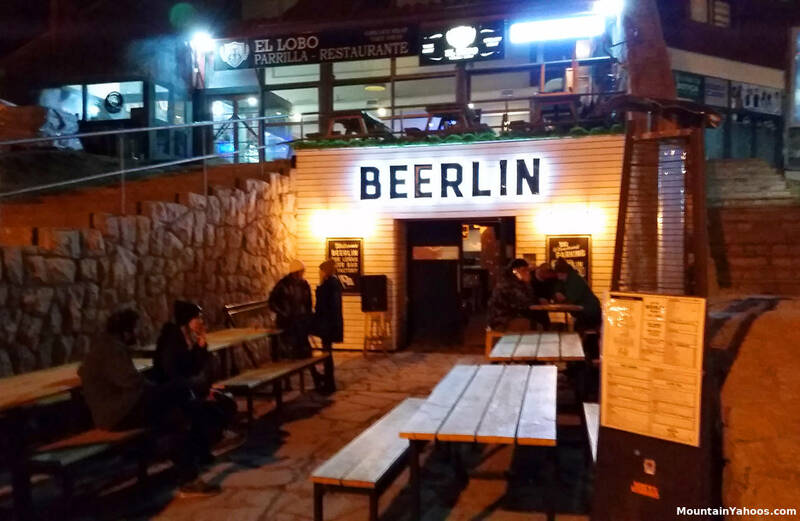 Next door you will find the "Helsinki Grill & Bar" on the deck of the Acuario hotel. 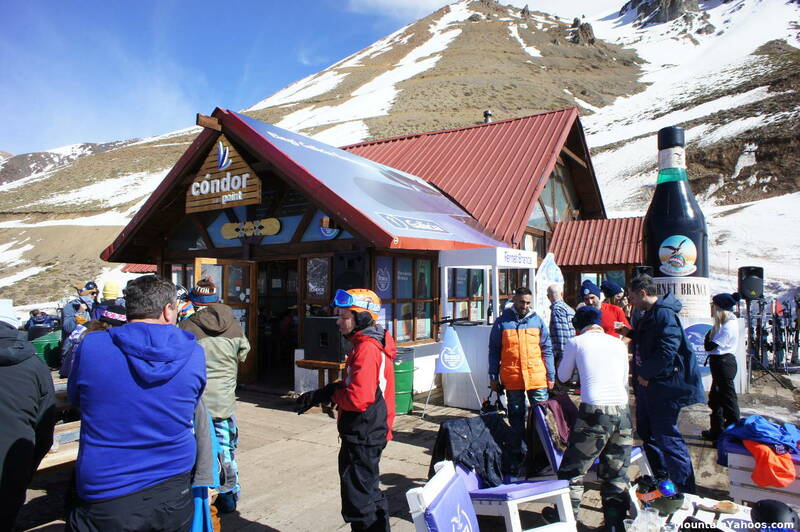 Mid-mountain options include Condor Point lodge and Parador Marte. The base of the mountain has multiple options. 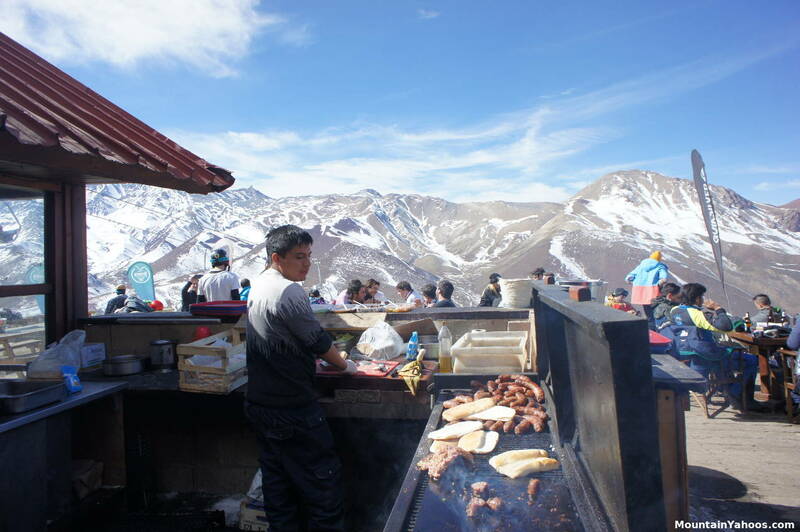 The UFO Point has an Argentinian cuisine based cafeteria with hefty meal options for the hungry. The Innsbruck has a variety of lunch options available with a multitude of wines. 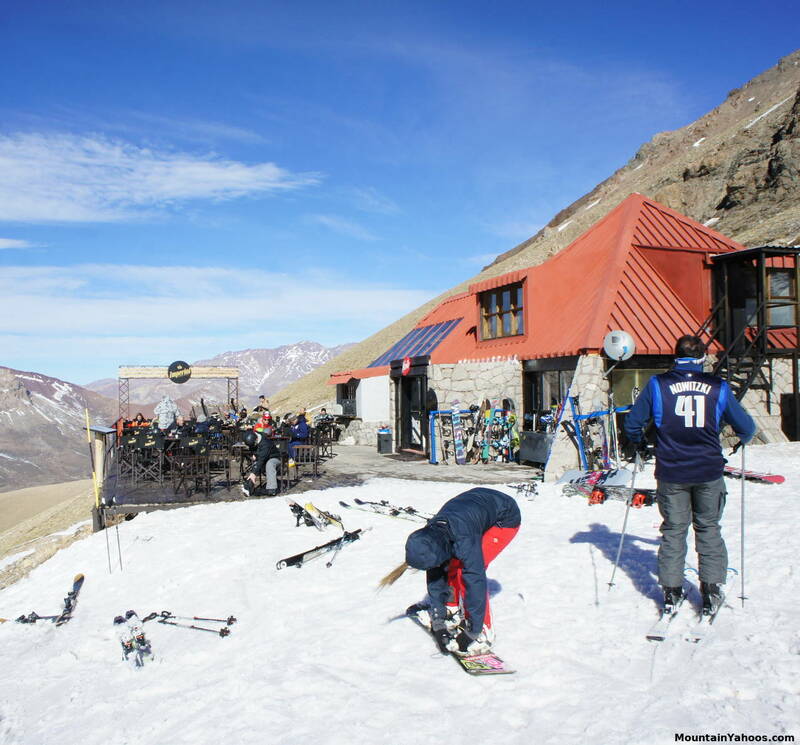 Unlike other ski resort destinations, hotels only cater to their guests only as meals are inclusive. 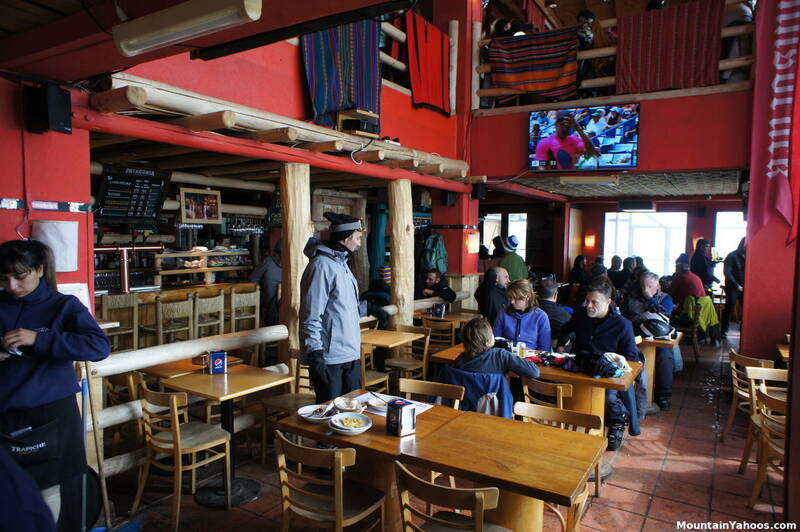 If you booked a room at a cheap hotel with terrible food or are staying at a condominium and don't want to cook, you do have some restaurant options at both the base of the mountain or at the neighboring town of Los Molles. 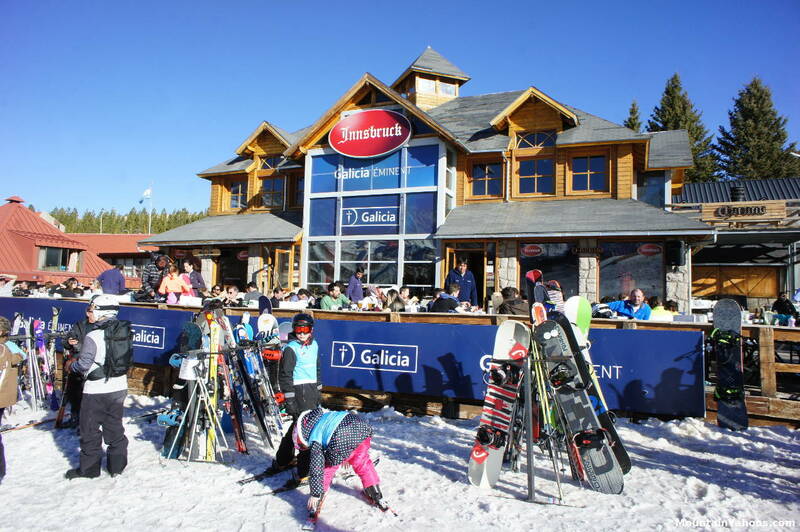 Unlike going out at ski destinations in the USA, restaurants here only accept one brand of credit card and that is Visa. 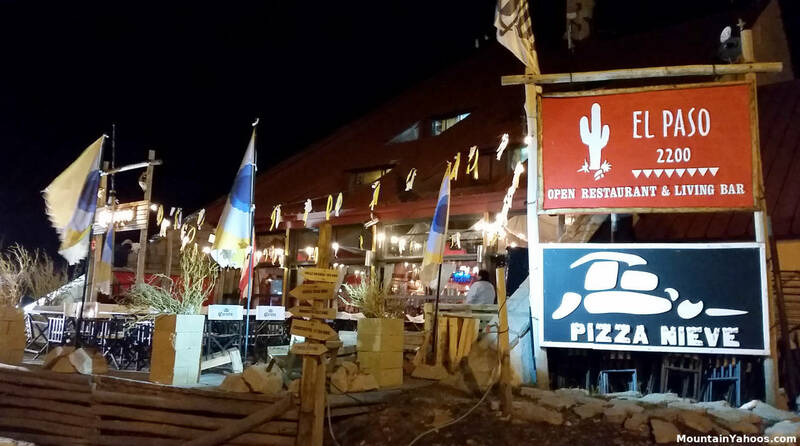 El Paso restaurant serving American Southwestern cuisine with pizza served next door. 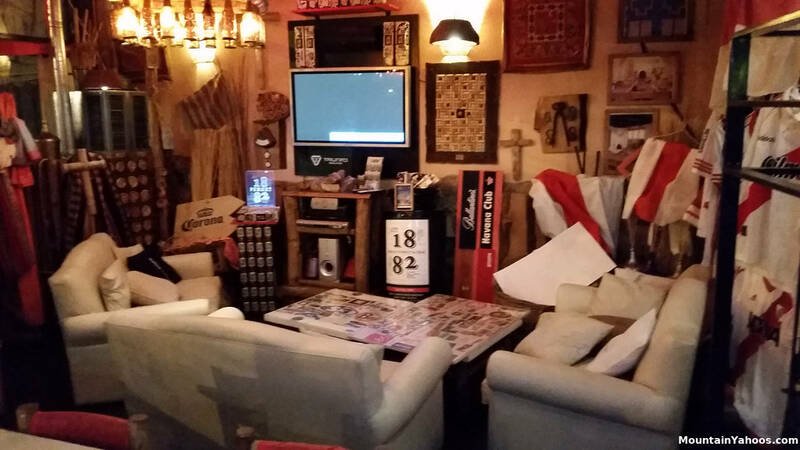 El Paso is located at the periphery of the "Piramide". 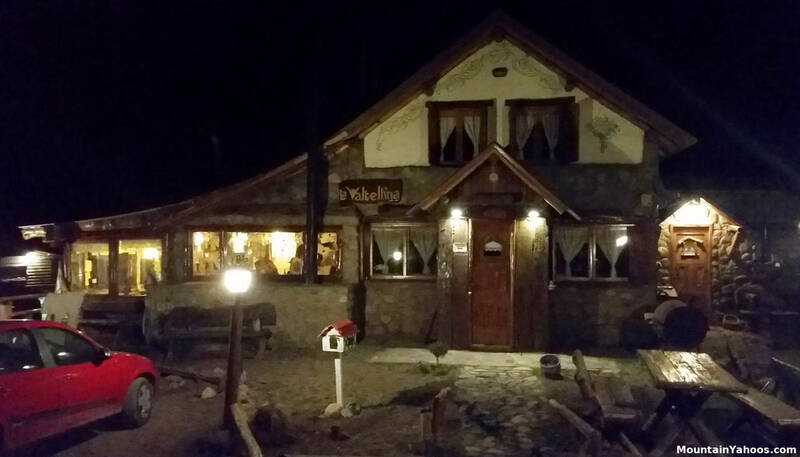 La Valtellina restaurant in the near-by town of Los Molles: Open every day except Tuesday. Main entrance is sometimes locked and you will have to ring the doorbell, sometimes twice. 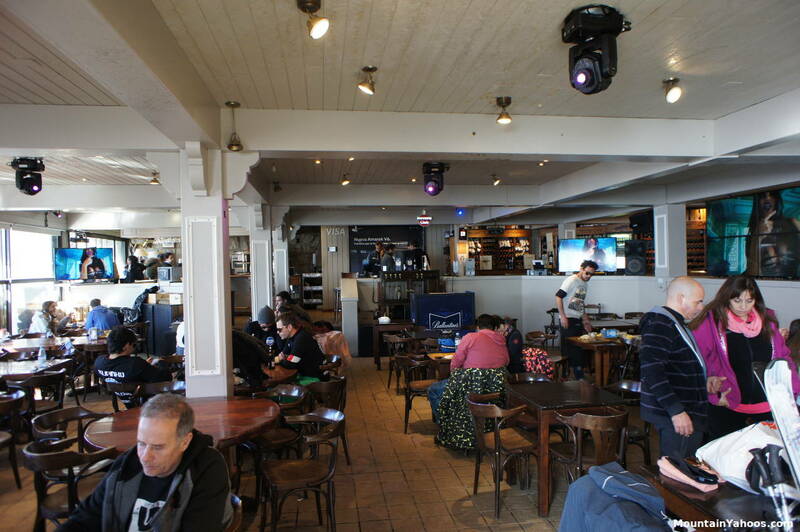 If the lights are on and people are seated, the waitress may just be busy. 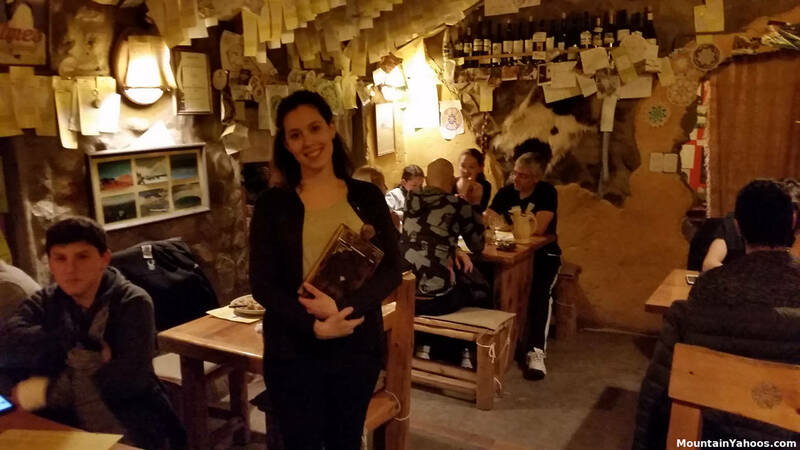 Italian themed gourmet food at a reasonable price in a quaint romantic atmosphere in a traditional wood and stone structure. Get there early or make a reservation (or both). 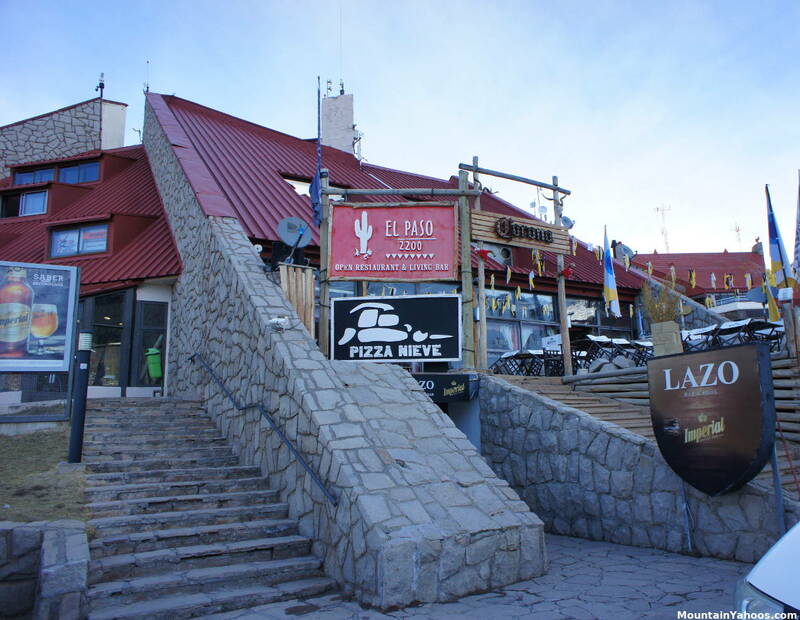 It is located in the town of Los Molles. 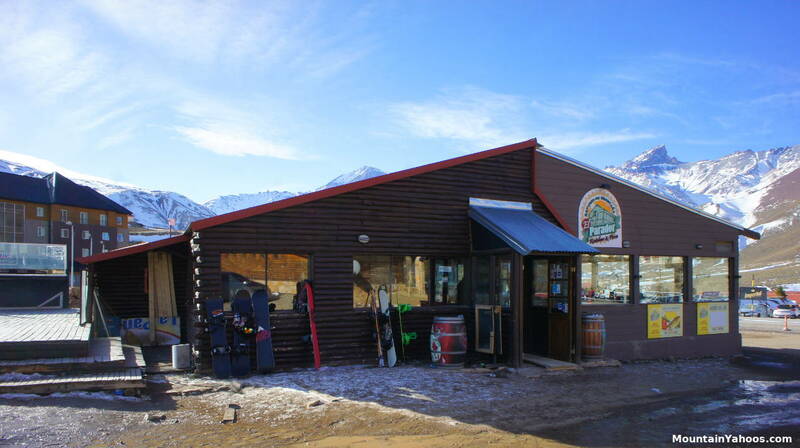 Take the road across from the Hualun Hotel (on 222) across the bridge over the river, and continue till you get to a cluster of buildings and then the La Valtellina restaurant will be on your left hand side. 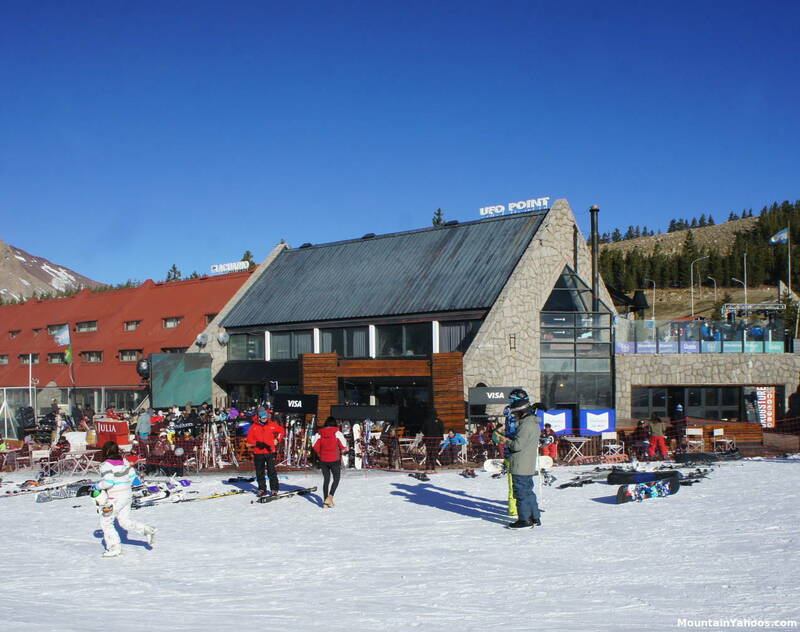 Apres ski has a high participation rate by all skiers while night life is for the young. It seems that people bring their own crowd.